The flight from Taipei, Taiwan to Petropavlovsk-Kamchatsky, Russia with a stop in Sapporo, Japan (RJCC) on July 8 was, in some ways, the most challenging of the whole trip in that we had to manage some very tight timing constraints, difficult language issues with air traffic control (ATC), and complex arrival and approach procedures in Russia. Fortunately, it all worked out well and the flight was completed on schedule and uneventfully. One of the timing constraints we had known about for a long time. The combination of a lot of miles to cover, a four hour time zone change between Taipei and Petropavlovsk, and the fact that customs and immigration at Petropavlovsk closed at 8pm local time meant we would need to leave Taipei very early. 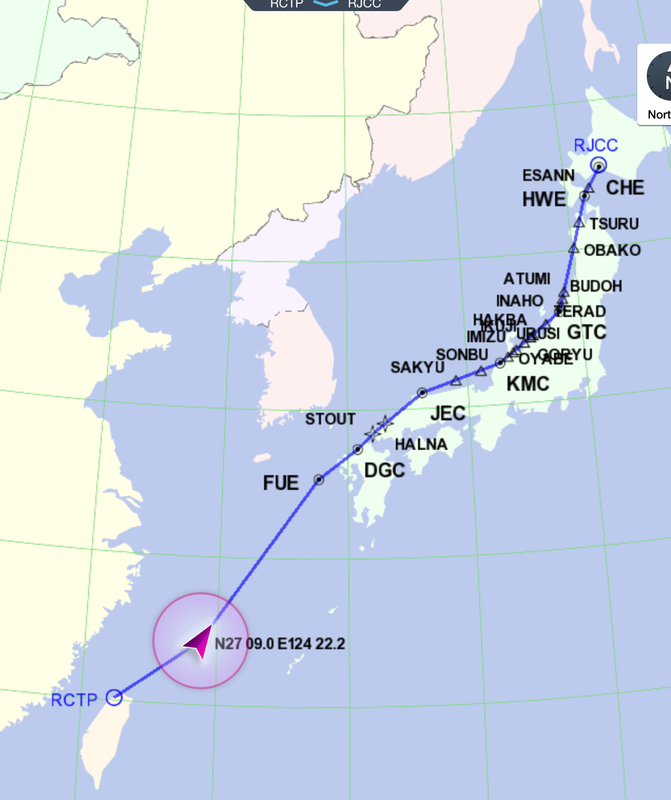 All along we had planned to be “wheels-up” from Taipei by 4am local time. Then we had two additional timing constraints appear at the last minute. First, the single runway at Taipei was closed 1:30am-3:30am local time each night. At first, that did not seem like an issue given that a 4:00am local time departure allowed us to arrive in Petropavlovsk well before customs closed there. 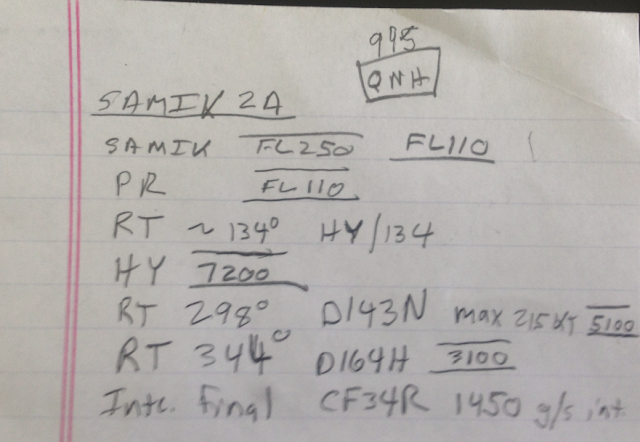 However, about 24 hours before we departed I sent my expected flight plan to the service I use for flight planning and asked them to look it over for any problems. 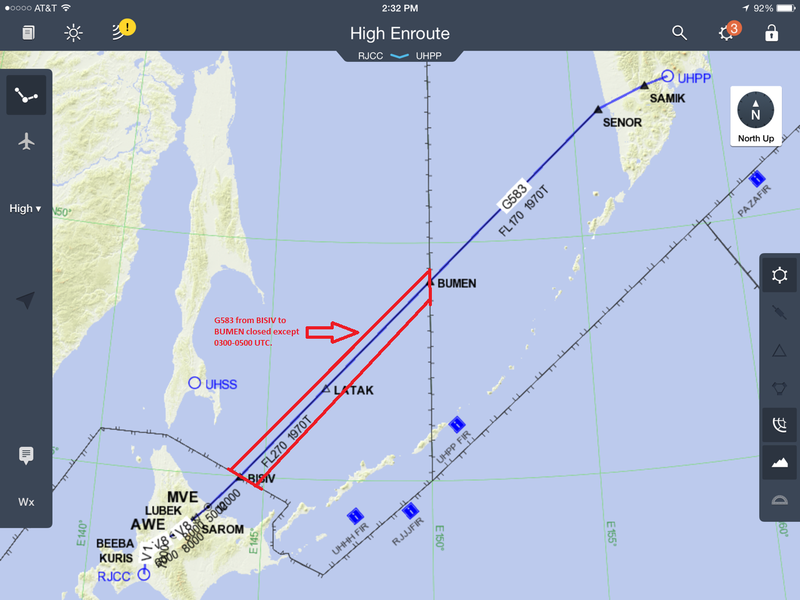 Glad I did because they pointed out that the main airway between Sapporo and Petropavlovsk would be closed most of the day of our flight except for a two hour window in the afternoon. Ugh…back to the drawing board. The only real options were to spend the night in Sapporo or hit the two hour window that the airway was open. After much double-checking of our calculations, we determined that if we were wheels-up from Taipei exactly when the runway opened at 3:30am local time and we kept the ground time at Sapporo to a minimum, we could have just enough time to comply with the Russian airway restriction and arrive in Petropavlovsk before customs closed. My alarm went off at 1:25am local time in Taipei and we were all in a van to the Taipei airport by 2:00am. The “handler” for the trip had spent the night at their airport facility in order to ensure the Taiwanese customs, immigration, and security would be there at 2:30a just to clear the four of us (I am not looking forward to getting the bill for that service!). Everything went according to plan and we were the very first airplane off the runway when it re-opened at 3:30a (actually, they let us go three minutes early at 3:27a). The flight from Taipei to Sapporo (on the north island of Japan - Hokkaido) was long but uneventful. We did encounter about one hour of flight in the clouds (instrument metrological conditions or IMC) over southern Japan which was the only substantial amount of time we spent in the clouds at cruise altitudes for the whole trip. But, the air was smooth and there was not any precipitation or ice in the clouds, so we just stayed-put and it was comfortable. About an hour south of Sapporo, we encountered the only significant turbulence of the whole trip as well. After about five minutes of light and occasionally moderate turbulence at 27,000 feet hoping the bumps would subside, we asked for a descent to 25,000 feet where it was still bumpy. So, we asked for a further descent to 23,000 feet where it was glass smooth. Since we were close to the point where we would start our descent, we just stayed at 23,000 feet. The scenery on the approach to Sapporo was beautiful. I’d like to go back to Hokkaido and spend some more time. Our timing was right on target approaching Sapporo. 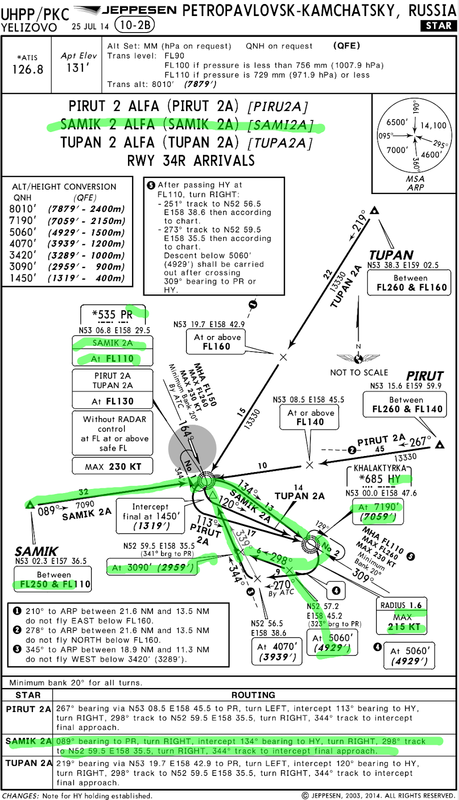 But, about 10 miles from the airport the Sapporo controllers tell us to “turn right to heading 270 for radar holding”. Turns out that the Japanese Air Force had been practicing for an air show and had closed the airport for a few minutes which had created a backlog in flights wanting to depart and land. We got vectored around in a big rectangle which caused us to land about three minutes behind schedule rather than three minutes ahead of schedule. As we turned-off the runway we looked back and saw the large jet climbing out over us to go around for another try. While I hated that we inconvenienced all those people on the airliner, our first responsibility is for the safety of our plane and passengers and flying a “stabilized” approach (i.e., an approach at our standard speeds) is an important part of completing a safe landing. The best thing about the stop in Sapporo is we added Jerry and Madelyn Seckler to the crew. They had flown to Japan from their home in Chicago to do a little sight-seeing and then joined us for the rest of our trip. Jerry has almost five decades of flying experience, so adding him to the flight crew was fantastic. Madelyn is a charming travelling companion who we all enjoyed spending time with for the reminder of the trip. The second big challenge of this leg of the journey was language. We found both the Japanese and Russian air traffic controllers to be extremely difficult to understand. It was so bad when we called for taxi instructions at Sapporo, after saying “we don’t understand, say again” about a half dozen times we heard a different voice get on the radio that had only slightly easier to understand English. We just committed to not doing anything unless we were sure we understood the instructions even if it made us look dumb. It always worked out, but sometimes the exchange of a simple instruction took several attempts. The “turn” at Sapporo had taken a few minutes longer than expected, but we looked good to enter the problem airway shortly after it opened and to exit it shortly before it closed. Not sure if it was lucky or smart, but we exited the airway three minutes before it was scheduled to close. The enroute weather from Sapporo to Petropavlovsk was nice with no clouds or turbulence at cruise altitudes. However, understanding the Russian air traffic controllers was only slightly easier than understanding the Japanese controllers. We had to use the long range HF radio for some of the flight in Russian airspace which compounded the difficulty. But, while frustrating at times, we were always able to eventually get the needed information exchanged. The third big aviation challenge of this leg of this trip was the complexity of the arrival and approach procedures in Russia. The weather was good for our arrival, but the procedures seemed unnecessarily complex and if the weather had been worse the flight crew’s pulse rate probably would have been elevated a bit. With the good weather, it was just complex but with little worries about actually getting far enough off course to cause a real problem. Just to add to the complexity, Russia uses meters for altitude and measures altitude above the airport you are approaching rather than altitude above sea level like most of the rest of the world. The flight crew briefed all the needed conversations weeks beforehand and were ready for the transition. The runway at Petropavlovsk is notorious for being washboard rough and it did not disappoint. At our speed it wasn’t too bad, but I can imagine in an airplane that lands at a faster speeds it could be disconcerting. A Soviet era “follow-me” vehicle greeted us as we turned off the runway and we followed it to a huge new ramp with some of the most interesting aircraft of the whole trip. A mix of new and old military and civilian airplanes and helicopters. If we had been allowed to roam freely around the airport (we weren’t), all of the pilots could have spent days exploring the hardware. We were greeted at our assigned parking spot by at least four “officials” in uniforms and our handler. For the first time on the whole trip, one of the officials searched the entire aircraft including the engine compartment. After about 30 minutes of “formalities” on the ramp, we were escorted into the customs and immigration building where another 45 minutes of absurdly inefficient processing continued. About 90 minutes after landing, we were finally on the way to the hotel. Describing the town of Petropavlovsk is the subject of a whole separate post (see Carolyn’s previous blog entry). Let’s just say charming is not the first adjective that comes to mind. On the positive side, at the risk of being sexist, we all agreed that the women of Petropavlovsk were by far the most beautiful of any stop on the trip. We are in Petropavlovsk for just one full day and then launch for the USA…the small town of Unalaska, Alaska also known as Dutch Harbor. It should be a fascinating flight. If you actually read this far, I owe you a dinner of your choice at my expense!